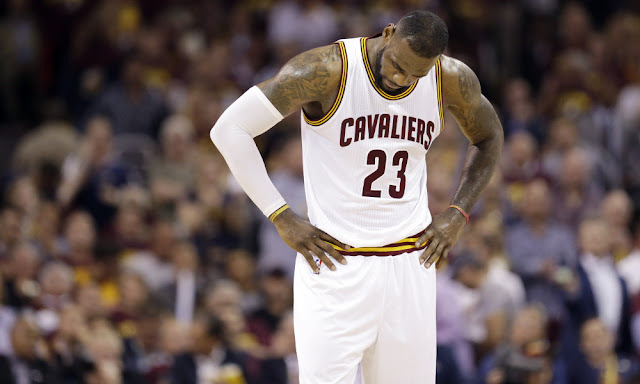 NBA – The defending Champion Cleveland Cavaliers failed to hang on to their lead against the 11th seed Sacramento Kings of the Western Conference in the dying seconds of the regulation period that went to overtime and leads to another disappointing loss at home. (Kings 116 – Cavs 112 Final/OT). The struggling Cavaliers falls down to 30 wins and 14 losses, but still maintaining the top spot of the Eastern Conference Standings despite their losing skid while the second best team in the East the Toronto Raptors is also facing their own problem after losing their last 5 games and falls down to 28 wins and 18 losses. For now the Cavaliers are still the best team in the East, but the team must find their way to get back on their winning track to be ready and be prepared when it comes to post season and in the NBA Finals where all matters. The Cavs are still the favorite team in the East to reach the NBA Finals together with the Golden State Warriors of the West but with the current situation that the team is showing and losing to a not so great team like Sacramento Kings and New Orleans Pelicans less Anthony Davis? I think there is a major problem with this team? Meanwhile, LeBron James posted a back to back triple double in their last two games against the New Orleans Pelicans and Sacramento Kings in a losing effort. James has now five triple double of this 2017 NBA Season. The Cavs next game is the Brooklyn Nets, will the Nets stun the Cavs in their own house or will the Cavs finally end their losing skid? No Comment to " Cavs Falls to Sacramento Kings in OT Suffered Third Straight Loses "